Folk pop band Mungo Jerry were quite a productive outfit in the 1970s. Under the leadership of Ray Dorset. The band produced no less than five albums at the beginning of the decade for Dawn Records. Following changes in personnel, Mungo Jerry changed labels to Polydor record and continued to release albums with Ray Dorset receiving a credit on some releases. The first album in the collection is the 1976 release, Impala Saga, now featuring six bonus cuts. Mungo Jerry’s first album for Polydor, there was still much in the way of the bands original sound that endeared record buyers back in the early 70s. The first track, Hello Nadine is a throwback to Mungo Jerry’s 1971 single Lady Rose, in both style and melody. 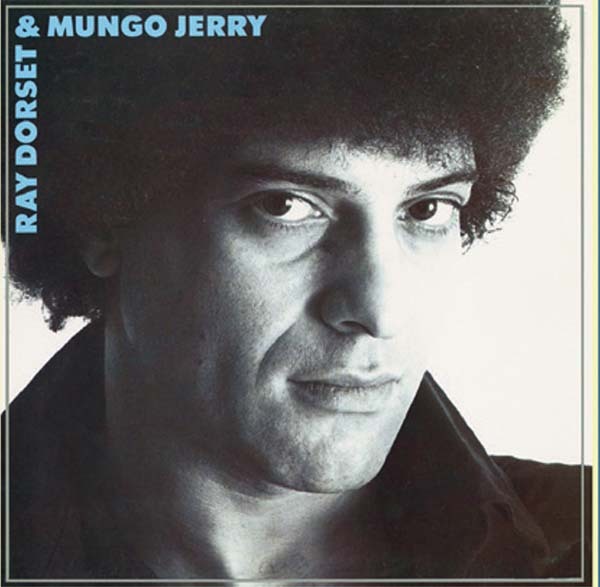 As with earlier Mungo Jerry releases, Ray Dorset still displayed an ability to blend folk pop with total rock n roll. While Never Mind, I’ve Still Got My Rock N Roll, blends both folk and rock, Dorset rocks out completely on an apparent homage to Johnny B Goode called Ain’t Too Bad. The track is so reverb laden a young Elvis would undoubtedly have loved it! 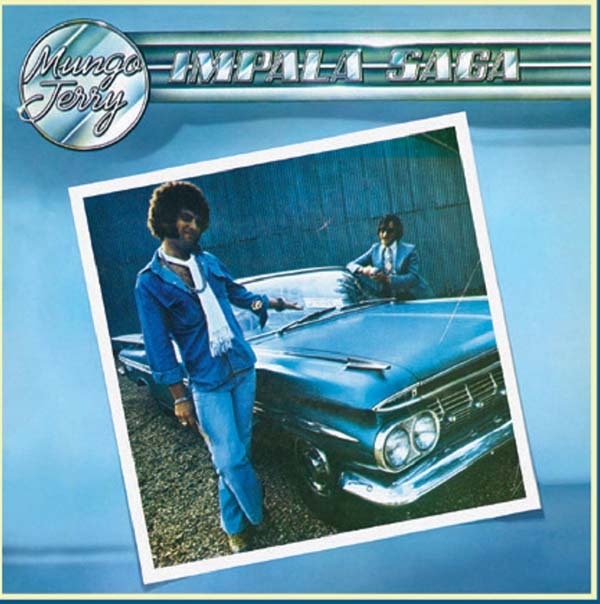 Although its easy to say that Impala Saga was very much traditional Mungo Jerry by incorporating diversity with traditional sounds, there are also shades of changing trends on the release. The title track sounds in-keeping with the then emerging new wave and punk movement from Dorset’s vocal delivery to lo-fi guitar work . 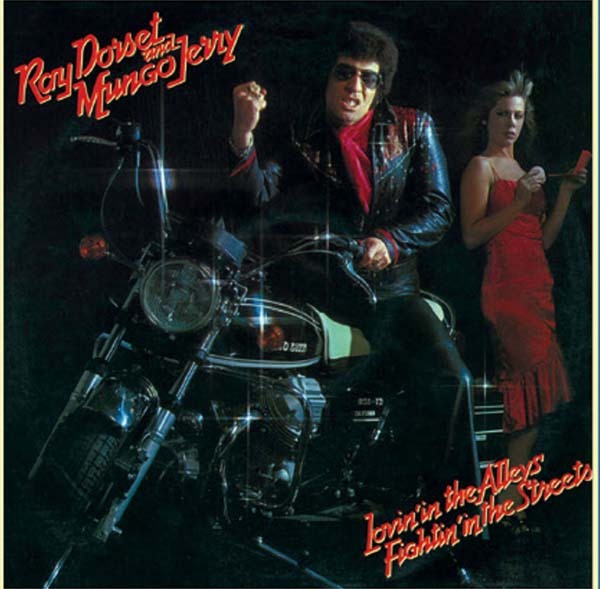 The second disc on the set is 1977’s Lovin’ In The Alleys, Fightin’ In The Streets which makes its debut on CD including five bonus cuts and featuring the singles ‘Sur Le Pont D’Avignon’, ‘All That A Woman Should Be’ and ‘Heavy Foot Stomp’. If Impala Saga was diverse in style, Lovin In the Alley’s, Fightin In the Streets is more straight down the line rock n roll. Dorset’s Rock’n’Roll roots are particularly evident on I Could Never Start Lovin’ You and Dragster Queen. Let's Go features some great rocking piano, while English Girls is a dreamy folk pop number with more than a hint of 1960s West Coast Lovin Spoonful influence. Some 40 years on from its initial release, Lovin In the Alley’s, Fightin In the Streets remains a brilliant raw rock n roll album, that was undoubtedly a forerunner for the Rock revival type recordings artists such as Paul McCartney were doing a few years later. 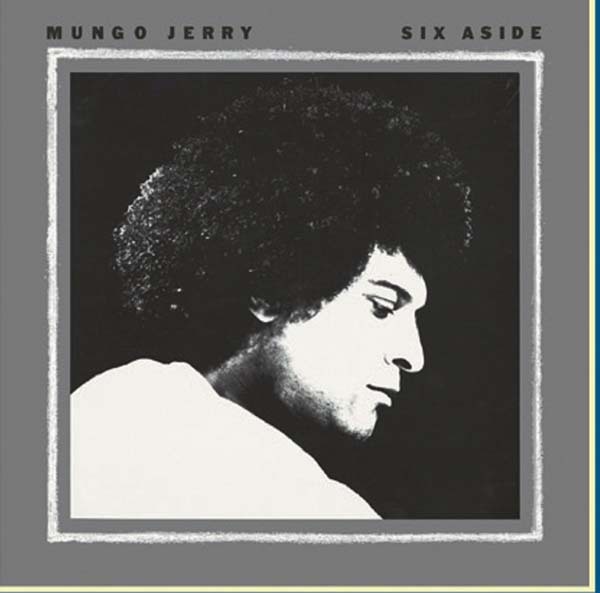 Mungo Jerry present the genre with gusto and perfection here, undoubtedly making this the top release of the collection. The albums bonus cuts are also of interest, including the Elvis stylised That’s My Baby while the feelgood pop of Sur Le Pont Devignon could easily have been a lost Tremeloes track from the 60s (and when you see that ex-Tremeloe Alan Blakeley had a hand in producing the track alongside Ray Dorset the influence becomes all the more apparent). The self-titled Ray Dorset & Mungo Jerry from 1978 can be found on Disc 3. The release begins with the catchy Sugar Mama but soon to finds the band adopting a more settled mid-70s vibe. Another highlight from the album is Shadows of the Trees which finds Ray Dorset at his blues best. The fourth disc on the collection is 1980’s Six A Side which at the time collected together several non LP singles and B-sides released between 1976 and 1980. Among the rarities are several tracks recorded under the name The Insiders and Ray Dorset’s original rendition of the 1980 disco hit Feels Like I’m In Love. The track of course would be a million seller for Kelly Marie and displays that almost a decade after topping the charts himself with In The Summertime, Ray still had the knack to write a chart-topping hit for a seemingly different genre. The release also features the feelgood track Summertime Holiday, itself a cheeky nod to In The Summertime and it would appear The Mixtures own Mungo Jerry stylized hit, The Pushbike Song! Among Six A Side’s bonus tracks is the Cockney flavoured Night On The Town, which makes me wonder why Ray never gave this song to Chas and Dave? The final disc on the collection is 1981’s Together Again album. 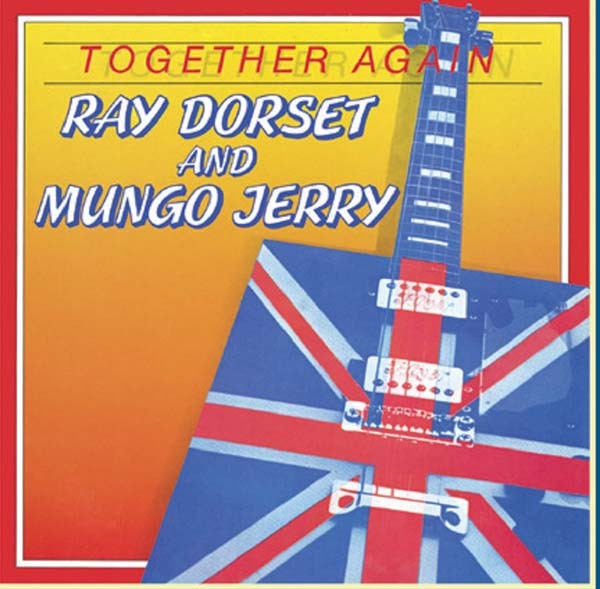 The album saw Mungo Jerry launch into the 80s with a slightly bassier sound fusing the bands traditional folk pop sound with a disco vibe. While Together Again featured the singles Stay With Me and Rockin’ On The Road, the albums undoubted highlights are Hazel Eyes and a cover of Bob Dylan’s Knocking On Heavens Door. Mungo Jerry – The Albums 1976-81 is the perfect companion to the earlier released Mungo Jerry - The Dawn Albums Collection 1970-74 and displays how a band continues to keep focused and still produce quality albums even after the chart success has fallen by the wayside. The collection also includes a detailed booklet containing line notes by Alan Clayson and is illustrated with numerous picture sleeves from across Europe of all the singles and albums from the time. Visit cherryred.co.uk for further information!